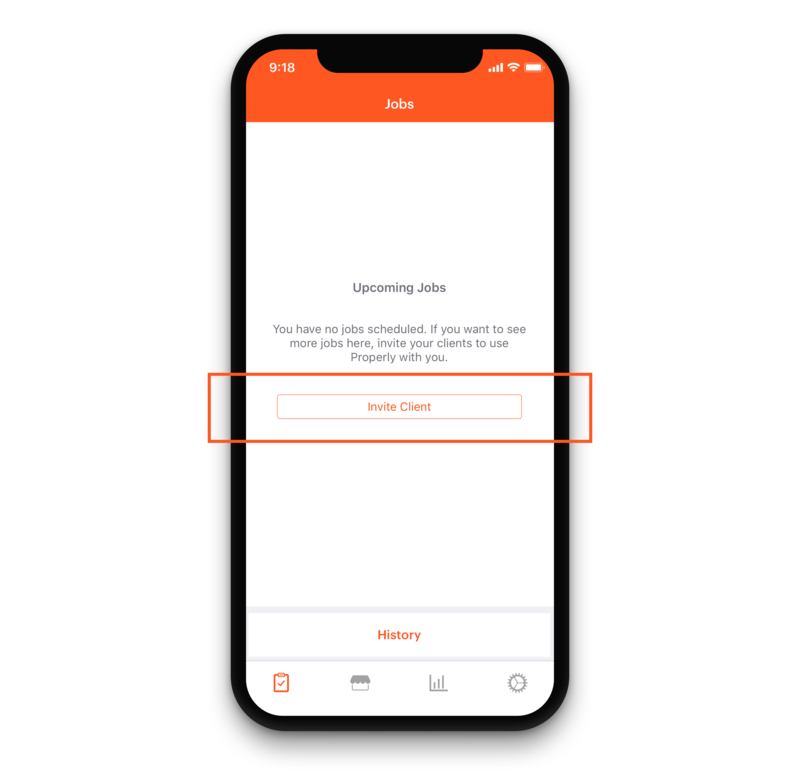 When you first start with Properly, you’ll need to complete one job in the app to appear in the Properly Marketplace. This means you need one client who already knows you to join Properly and use the app to send you a job. Go to your Jobs tab and click Invite Client to send a message to a client inviting them to use Properly.